Raspberry Pi-Powered Touchscreen Trivia Game All About Vancouver Island | #piday #raspberrypi @Raspberry_Pi « Adafruit Industries – Makers, hackers, artists, designers and engineers! Recently we were asked to come up with a creative, interactive, and eye catching electronic element for Coastal Community Credit Union ‘s new trade show booth. 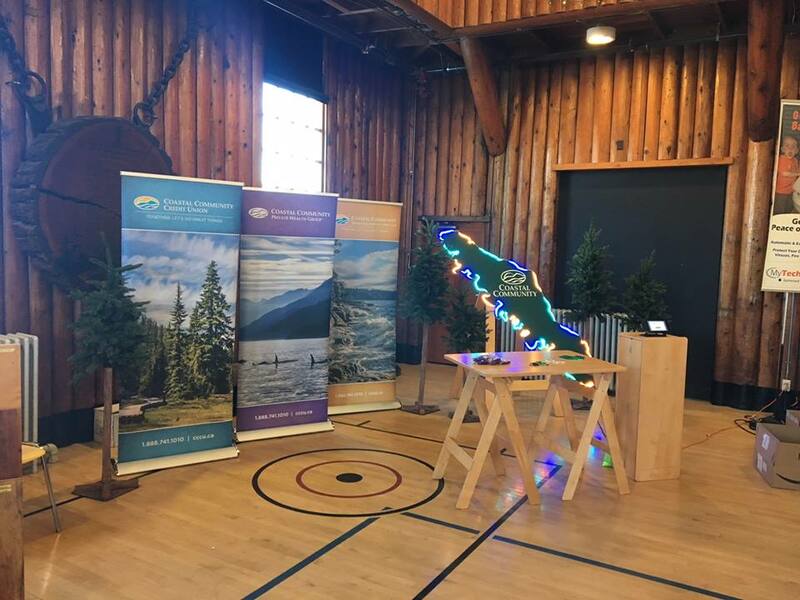 The project became one of the most entertaining we have done in a while – a touch screen trivia game featuring CCCU trivia and a roughly 6’ RGB LED display in the shape of Vancouver Island. The island itself was crafted by our next door neighbours, Industrial Plastics & Paints Nanaimo, with a trough specifically designed to accept Adafruit Industries new 90 LED / meter side mount NeoPixles. The result is nearly 1000 NeoPixels contoured to the shape of our beloved Vancouver Island coastline. 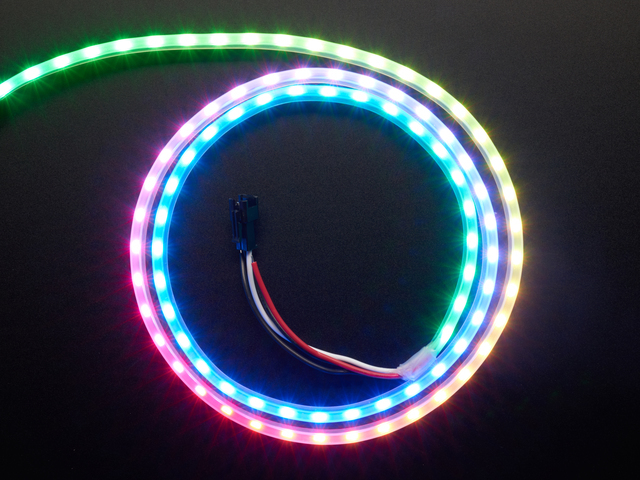 The NeoPixel Vancouver Island cycles through several colour patterns that represent coastal forests, oceans, and CCCU’s logo colours. On top of that it also indicates correct or incorrect answers when playing the Raspberry Pi based trivia game. Big thanks to Coastal Community Credit Union for involving us in the project!